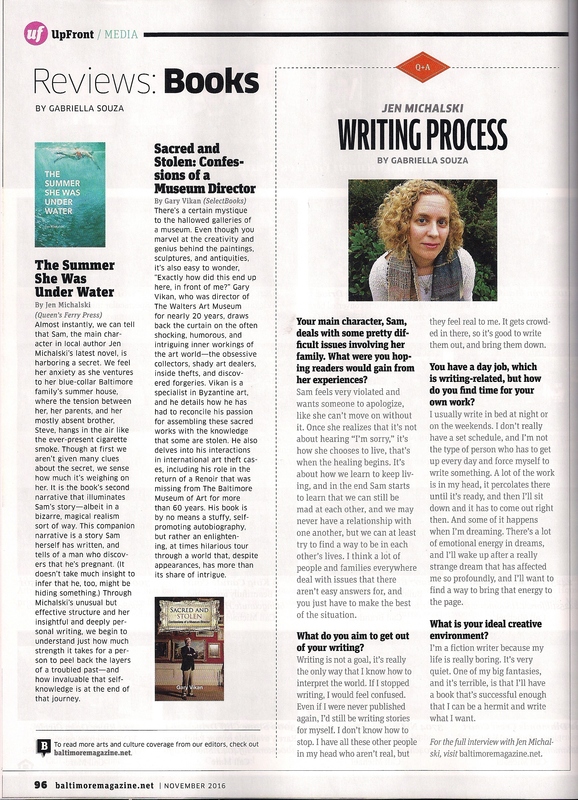 "When I first started writing The Tide King (which was inspired indirectly by a story I’d read about the battleship Bismarck in National Geographic), I didn’t know what was going to happen. I knew I didn’t want to write a novel about World War II, even as I wanted to honor my grandfathers, who both served and never talked about it. What came out instead was a novel, spanning several wars and generations of families, about a bewitched herb that bestowed immortality to those who ate it. And about the love of those people and their loneliness as well." 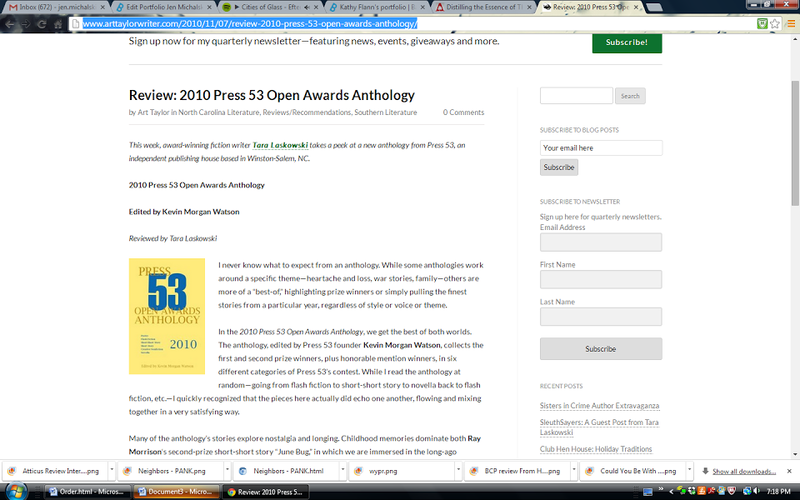 - interview in Little Patuxent Review. 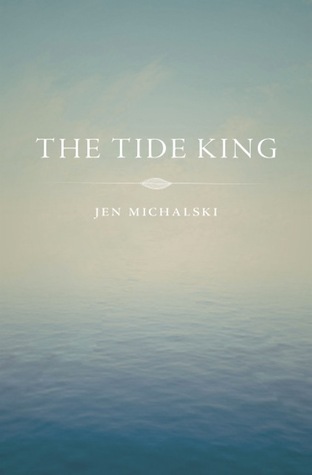 Jen Michalski’s debut novel, The Tide King, was winner of the 2012 Big Moose Prize from Black Lawrence Press. 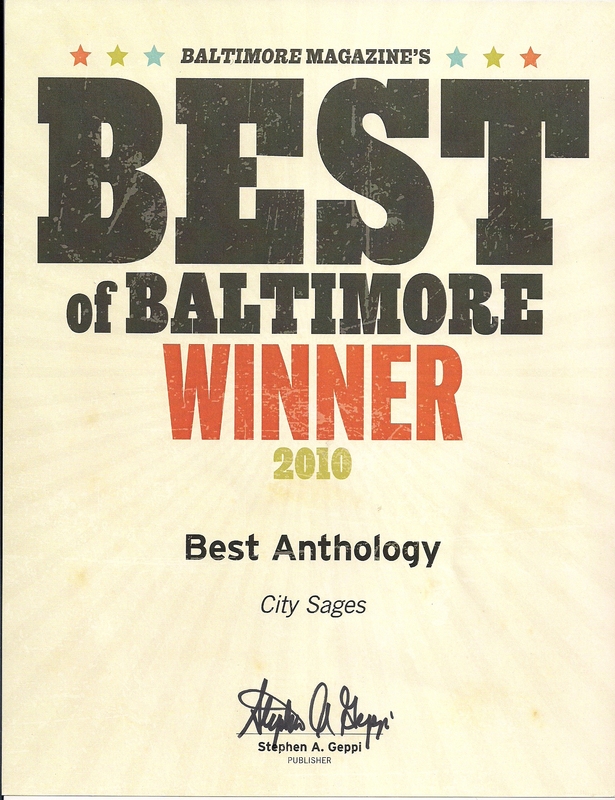 In 2013, it was voted “Best Book” by The City Paper and also earned Michalski the honor of “Best Writer” in Baltimore Magazine’s “Best of Baltimore” issue. In 2016, The Tide King also was a First Place Winner in the Somerset Awards. 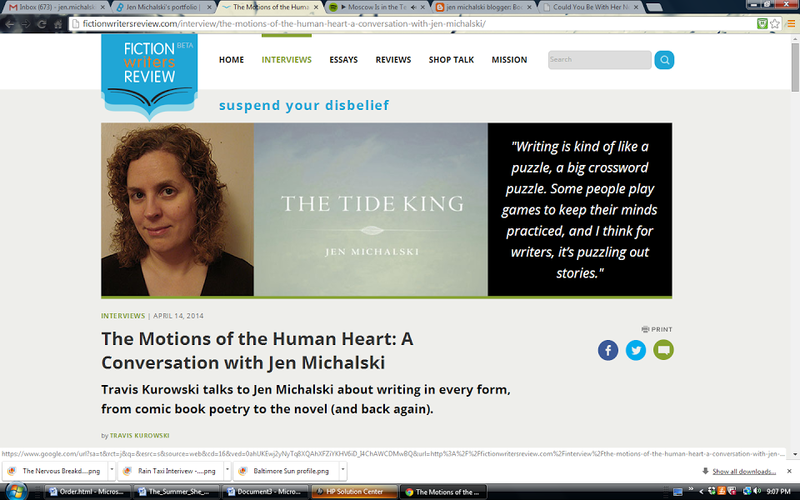 Jen Michalski’s debut novel, The Tide King, was winner of the 2012 Big Moose Prize from Black Lawrence Press. 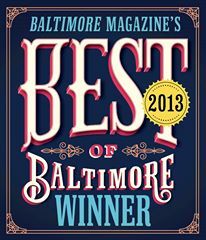 In 2013, it was voted “Best Book” by The City Paper and also earned Michalski the title “Best Writer” in Baltimore Magazine’s “Best of Baltimore” issue. In 2016, The Tide King was a First Place Winner in the Somerset Awards. Stanley Polensky and Calvin Johnson serve in Germany during World War II. Calvin, near death after being shelled, is given a bewitched herb by Stanley but then left for dead. Each soldier returns from the war and years pass. Calvin, discovering that he cannot age and cannot die, searches for Stanley to get answers. Michalski's The Tide King is the story of burnette saxifrage, an herb rumored in Polish folklore to provide those who eat it with immortality, and its effects on three generations of a Polish family over two continents beginning in 19th-century Poland and ending in 1976 America. But it is also the story of young men’s sacrifice during great wars, of a young child's experiences during the holocaust and being a war orphan, of the curiosities of the American century, such as 1950s country music and smoke jumpers in the Montana mountains and 1970s New York. Just as Viking king Cnut, who was rumored to be so powerful that he controlled the tides at his feet, discovered “how empty and worthless is the power of kings,” Calvin Johnson and others cursed by the herb find in The Tide King that the power of youth and immortality is an empty gift, for they will continually witness the death of their families, lovers, dreams, and ideals. 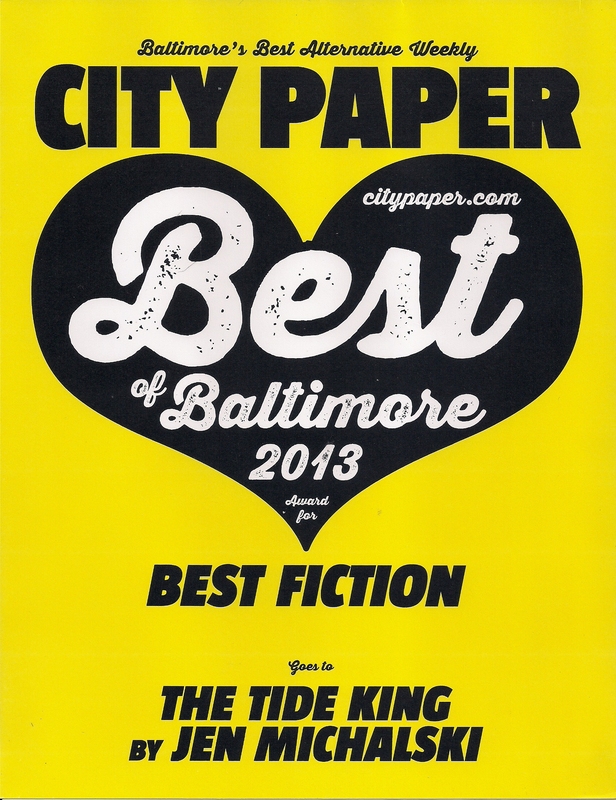 "Best Fiction," Best of Baltimore, City Paper 2013 - "Michalski joined the big leagues with this stupendous novel whose magical realism is heavy on the realism as she follows her characters through war, love, and a cross-country country-music tour. Gorgeous. 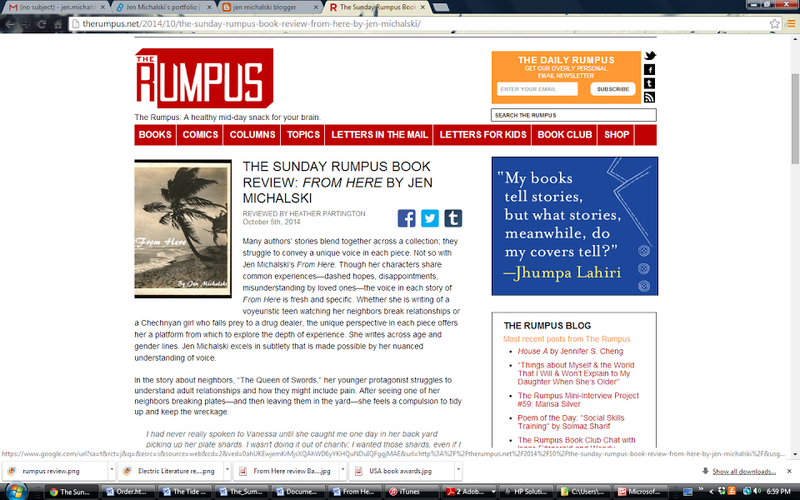 We’re lucky to have Michalski before the rest of the world discovers her. But they will." The Tide King won First Place in Category Winner in the 2016 Somerset Awards, which recognizes emerging new talent and outstanding works in the genre of Contemporary/Literary Fiction. 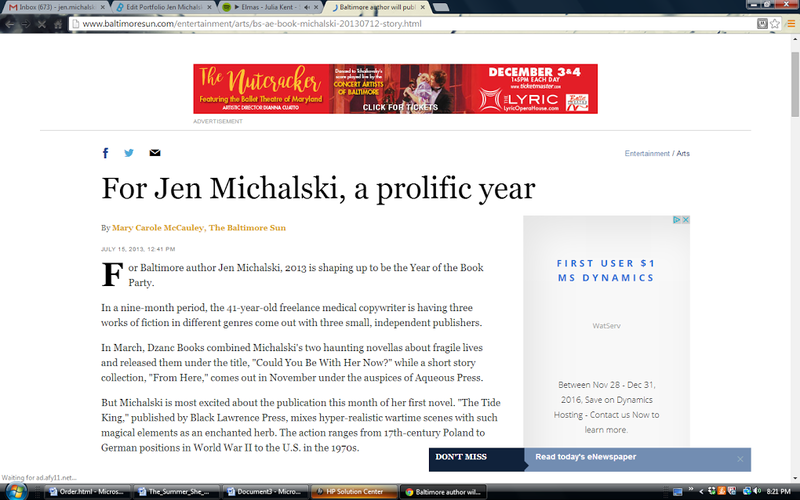 "For Jen Michalski, A Prolific Year," Baltimore Sun. "I've always felt that I'm one pane removed from everything, like I'm walking around in a bubble or behind a sheet of glass. 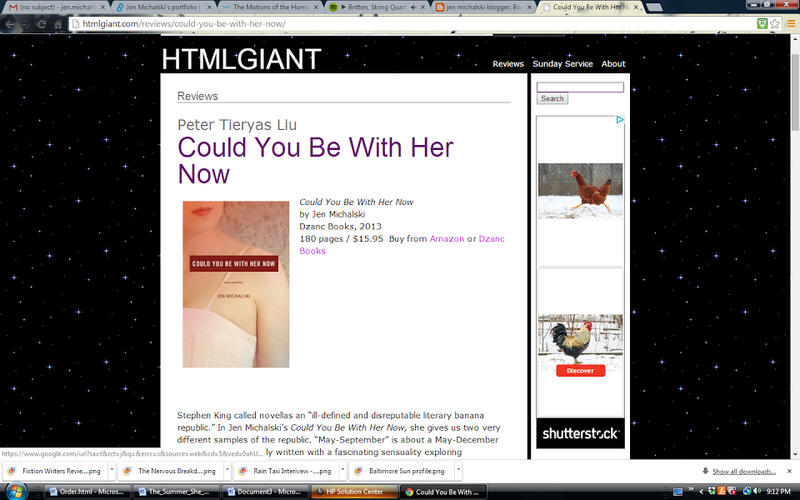 Writing is my way of asking, "How do I get out?"" 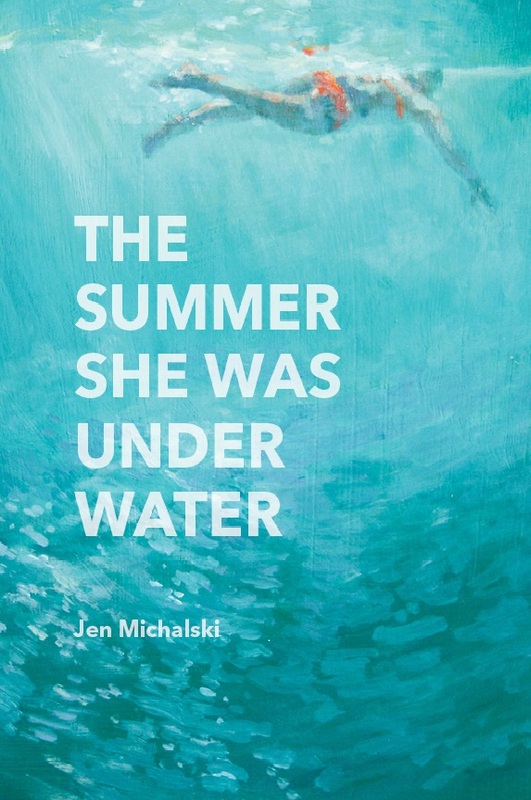 Michalski's second novel, The Summer She Was Under Water, was published by Queens Ferry Press in August 2016 and then acquired by Black Lawrence Press in December 2017. 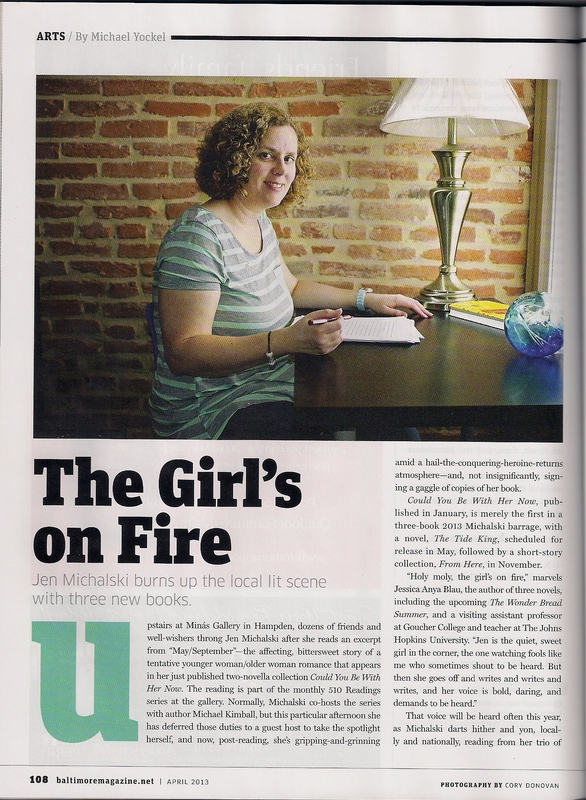 Baltimore Magazine said of Summer, "Through Michalski's unusual and but effective structure and her insightful and deeply personal writing, we begin to understand just how much strength it takes for a personal to peel back the layers of a troubled past." 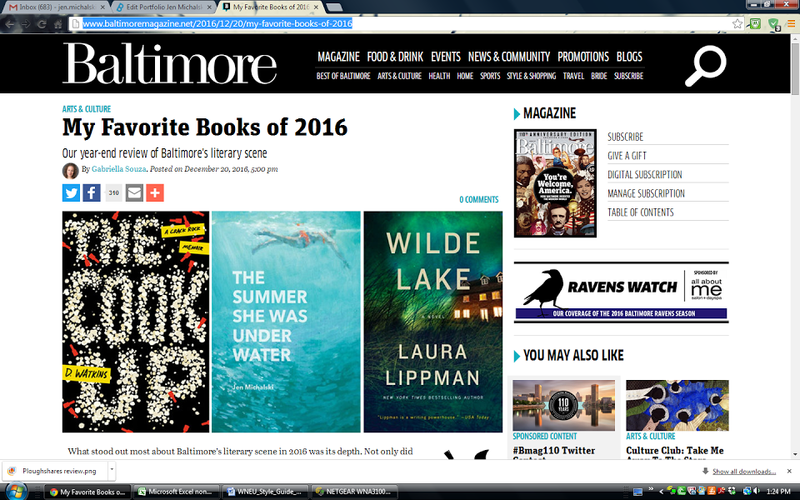 Baltimore Magazine also picked Summer as one of its favorite books of 2016. 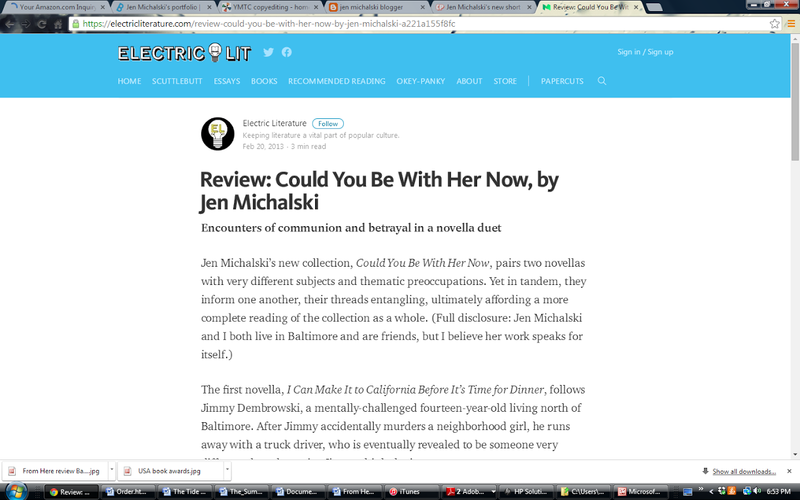 Favorite Books of 2016, Baltimore Magazine (http://www.baltimoremagazine.net/2016/12/20/my-favorite-books-of-2016): "Jen Michalski has proved herself a timeless storyteller again and again, and her latest book is no exception." 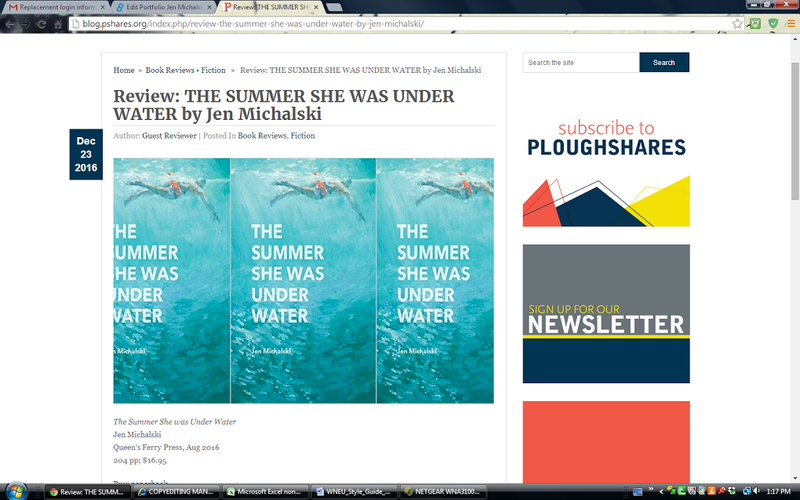 Review in Ploughshares (http://blog.pshares.org/index.php/review-the-summer-she-was-under-water-by-jen-michalski/): "Jen Michalski’s second novel is an intense emotional commitment, but a worthwhile one." 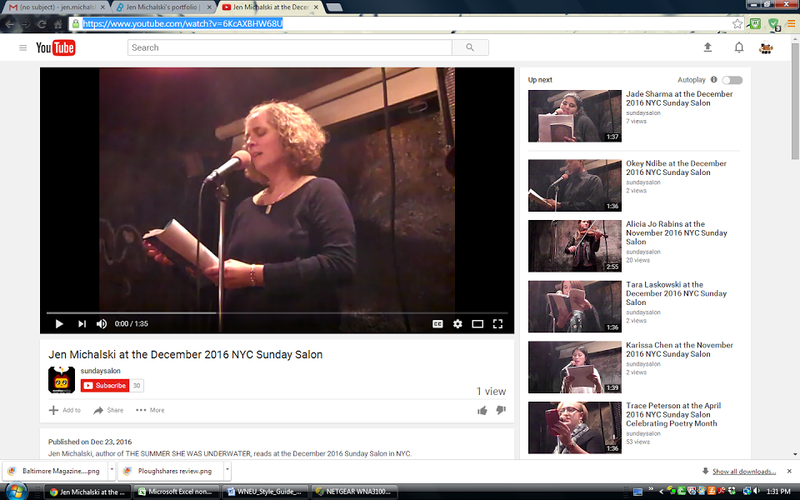 Video of NYC Sunday Salon reading for The Summer She Was Under Water, December 10, 2016 (https://www.youtube.com/watch?v=6KcAXBHW68U). The twelve stories in From Here (a 2015 USA Book Awards finalist, Short Fiction) explore the dislocations and intersections of people searching, running away, staying put. 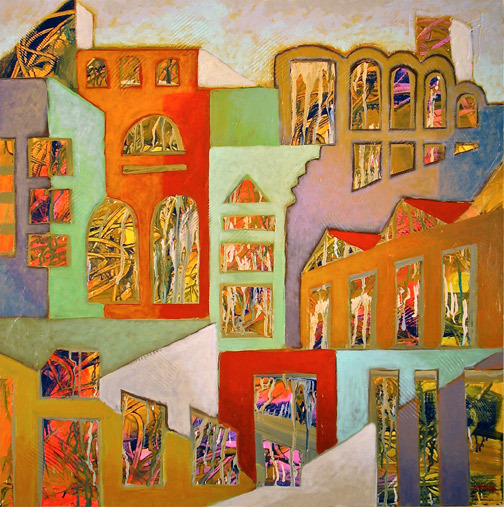 Their physical and emotional landscapes run the gamut, but in the end, they’re all searching for a place to call home. Jen Michalski’s characters seem to breathe through the pages of this emotionally expansive collection. Each story is a world in which the reader will linger—not to seek refuge but to gain insight, and perhaps, find a kindred soul. From Here slices at the myths of All-Americana and delivers instead heartfelt stories that mirror America’s contemporary epidemic of neglect—neglect of others and of the self. The desires of the main characters in From Here are invariably in conflict with the desires of their loved ones, and of their souls. This is a collection of brokenness that cuts, of characters desperately trying to clean up the mess. Unlike so many of these struggling but striving characters, however, Jen Michalski, the writer and the heart, knows what truly needs attention. Oh to be Jen Michalski and conjure characters so real that your stories never truly end, each a novel-in-waiting. Readers must check their sentimentality at the door. Here there be monsters: fires, miscarriages, attempted suicides, abortions, dead rabbits, cancer, and a trip to Disney World. Reminiscent of Armistead Maupin’s work, From Here is a sometimes stark, totally honest, vivid collection of twelve stories featuring wounded, curious, lost, and hungry people, none of whom are poised to take over the world. Still, Michalski’s compassion, geographic palette (Baltimore, New Mexico, Southern Delaware, NYC), and exquisite details, makes me hope that somehow they all will. This is short fiction at its moody, character-driven best. The people you meet are so vivid and so sympathetic that their joys and sorrows will quickly become your own. I haven’t decided which is my favorite story, but I know my favorite line: “Good luck with your broken things.” Fantastic. 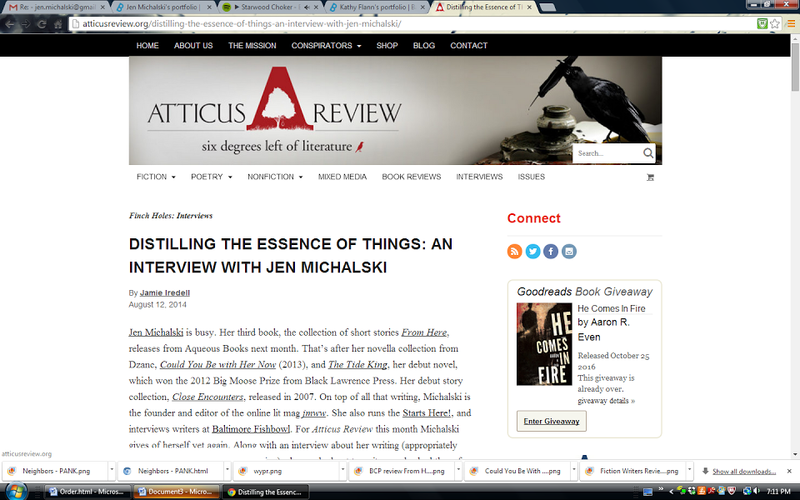 "Jen Michalski writes down the beast, and you remember. Strong sentiment, strong stories." -- Terese Svoboda, 2013 Guggenheim Fellow and author of Tin God, Bohemian Girl, and others. 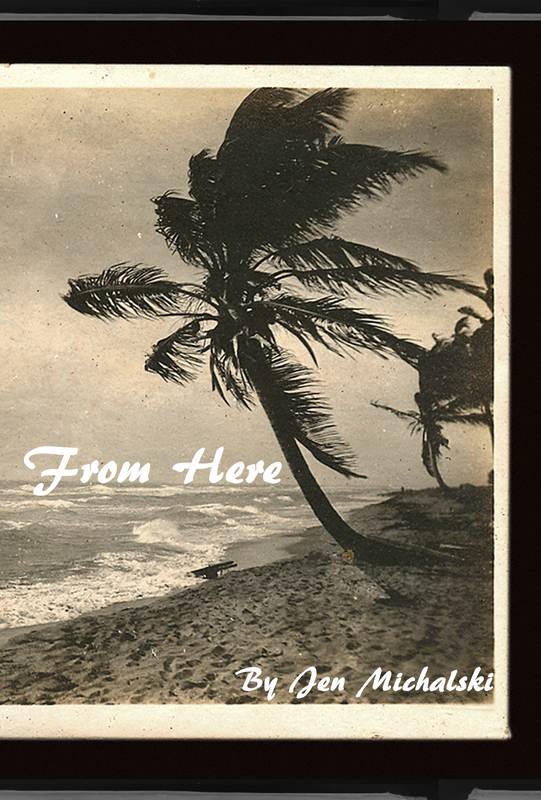 Michalski's second collection of fiction, From Here, was a 2015 USA Book Awards Finalist for short fiction. The City Paper said of From Here, "while the perspectives vary, they’re all told through the lens of Michalski’s sharp eye for detail and beautiful prose." 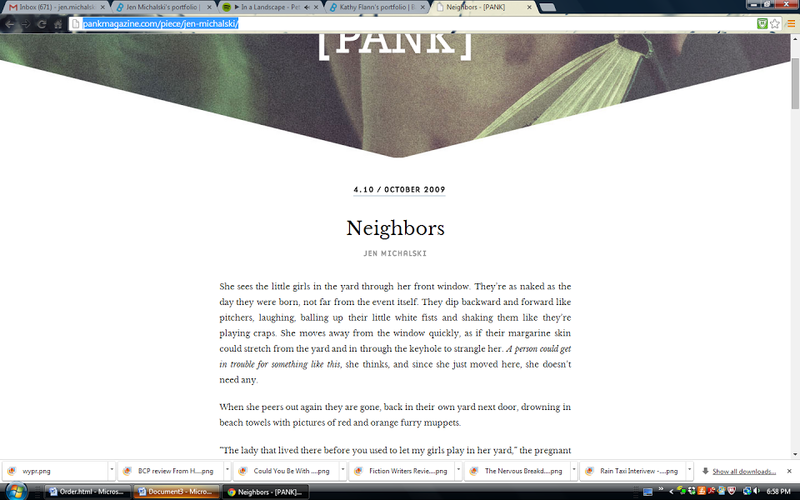 "She sees the little girls in the yard through her front window. They’re as naked as the day they were born, not far from the event itself. They dip backward and forward like pitchers, laughing, balling up their little white fists and shaking them like they’re playing craps. 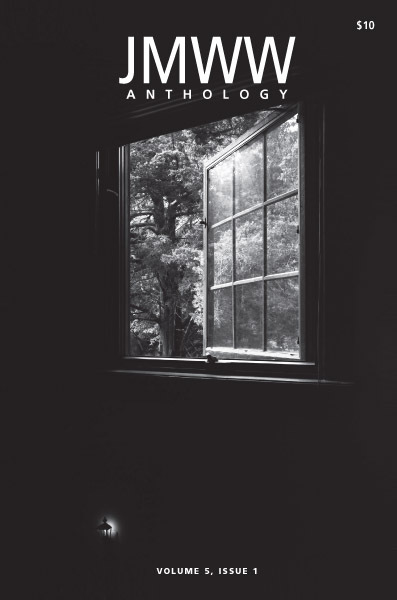 She moves away from the window quickly, as if their margarine skin could stretch from the yard and in through the keyhole to strangle her. This collection of two novellas showcases Jen Michalski’s skills as a writer. In “I Can Make It to California Before It’s Time for Dinner,” Michalski examines the dangers of living in a world while having a compromised reality. In a first-person narrative, the reader follows Jimmy, a mentally challenged fourteen-year-old boy who accidentally kills a neighborhood girl. He winds up running away and hitching a ride with a trucker who is not as trustworthy a companion as Jimmy believes him to be. In “May-September,” which won first place in Press 53’s Open Awards in 2010, a young writer is hired by a much-older woman over the summer to help blog her memoirs for her grandchildren. An unlikely friendship, and more, follows, as Michalski examines one of the last cultural taboos of our age: May-December romances. 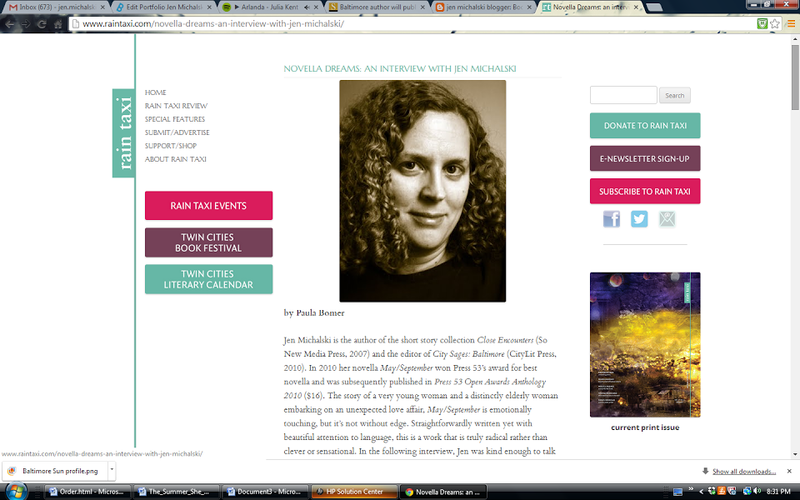 Rain Taxi, interview, Could You Be With Her Now - "The novella for me really is Sandra; I wanted to tell her story honestly, with anger and fear and longing. She says to Alice early in the novella that no one writes about old people, that “no one cares about us.” But she is all of us. The structure came about for me to be an impartial observer, to be entirely in these women’s heads, with the flashbacks mingled with present-tense conversations, even mingled with each other’s thoughts. 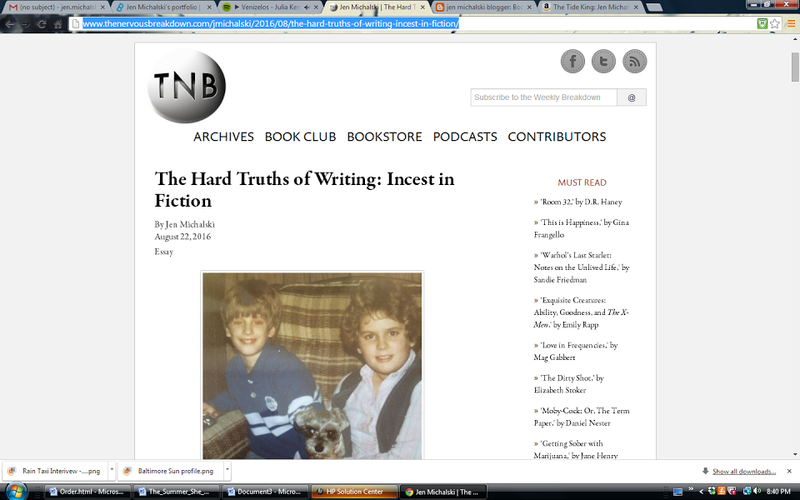 I wanted the reader to become part of their narrative." "Jen Michalski’s new collection, Could You Be With Her Now, pairs two novellas with very different subjects and thematic preoccupations. Yet in tandem, they inform one another, their threads entangling, ultimately affording a more complete reading of the collection as a whole." “May-September” really leapt off the page for me. In a poetic and lyrical style reminiscent of Virginia Woolf or Alice Munro (two writers, interestingly, referred to as favorites by one of the characters), Michalski expertly tells the heartbreaking story of two women—one a young writer at the beginning of her career and the other an older woman reflecting on her life by writing her memoirs—and their awkward, budding friendship that turns to love. "There is a saying in Baltimore," said the sage himself, H.L. Mencken, "that crabs may be prepared in fifty ways and that all of them are good." 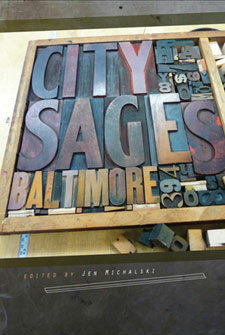 The same can be said of the different short pieces of prose collected in City Sages: Baltimore. 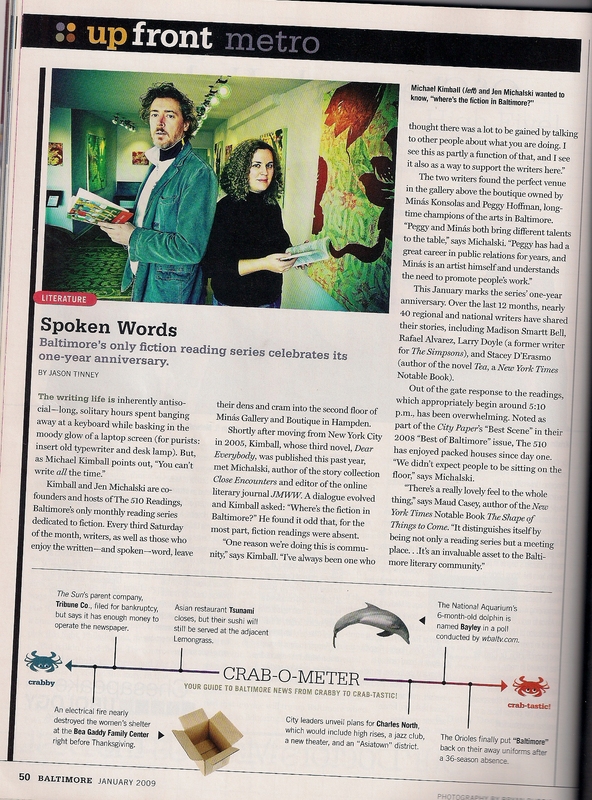 Here are thirty-six ways to create literary art in Baltimore, and all of them are good. Edited by Jen Michalski, this first-ever anthology of some of Baltimore's best writers includes both famous and not-yet-famous scribes, both dead and alive. Michalski's objective was to represent an array of writers over a period of time who were born in Baltimore or lived in the city. 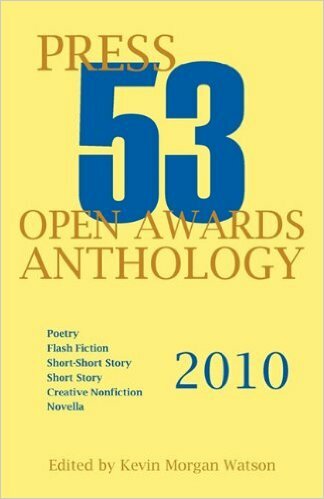 The anthology includes pieces by seminal writers such as Edgar Allan Poe, Gertrude Stein, Zora Neal Hurston, Frederick Douglass, and F. Scott Fitzgerald; contemporary writers such as Laura Lippman, Anne Tyler, Madison Smartt Bell, Michael Kimball, Alice McDermott, Jessica Anya Blau, and Rafael Alvarez; and emerging writers such as Rosalia Scalia, Caryn Coyle, Joe Young, and Adam Robinson. 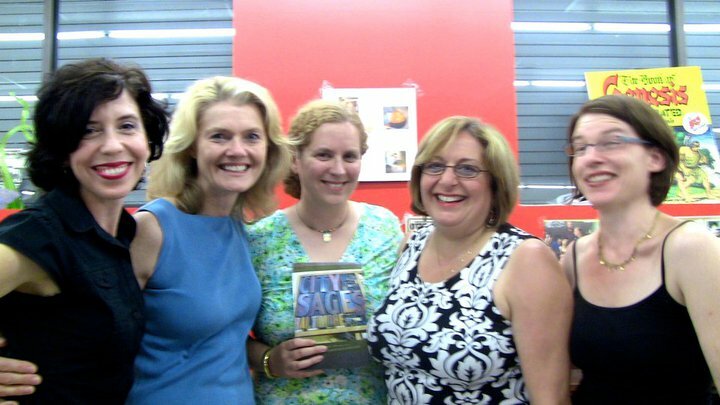 Reading at Cyclops Books, 2010, with contributors (L to R) Betsy Boyd, Caryn Coyle, Jen Michalski, Rosalia Scalia, and Maud Casey. 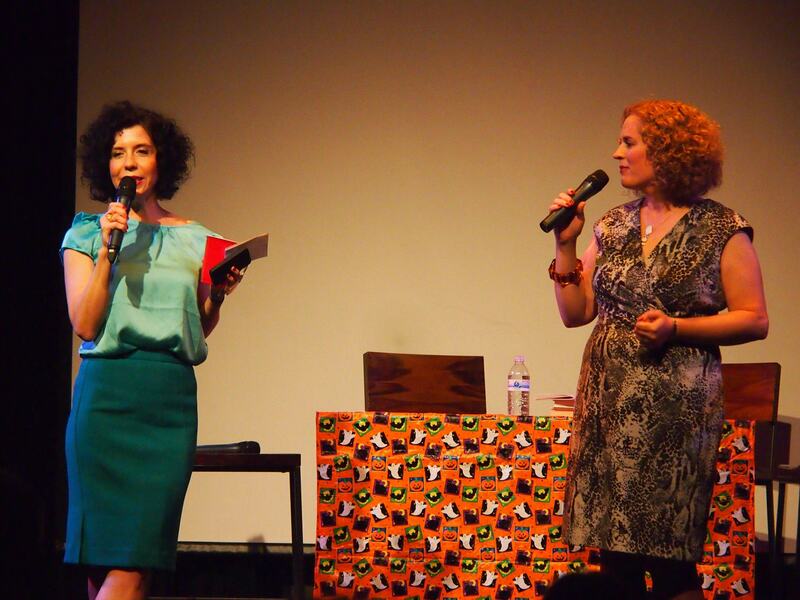 Jen Michalski co-hosted the 510 Readings (voted "Best Scene" by the Baltimore City Paper), a monthly fiction reading series, with Michael Kimball from 2007 to 2014 and The Lit Show with Betsy Boyd, a literary biannual variety show, in 2012. 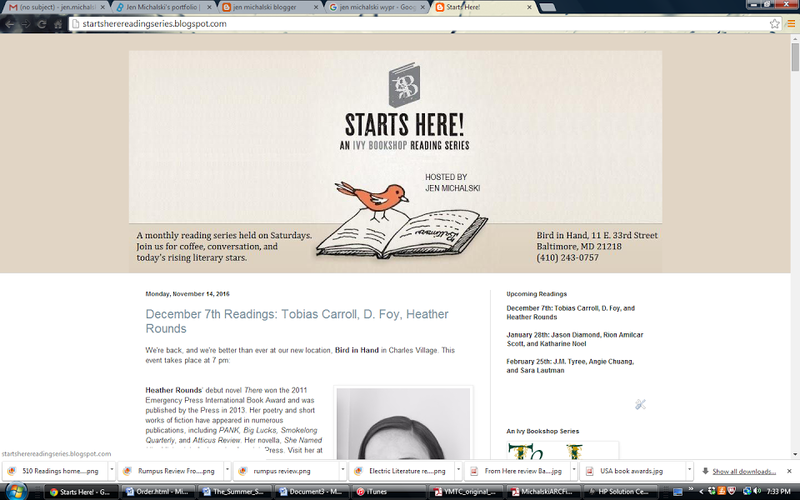 Since 2014, she has hosted Starts Here!, a monthly fiction and nonfiction reading series sponsored by the Ivy Bookshop, at Bird in Hand. 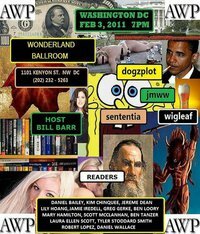 She's hosted readers from United States, Toronto, and London, including Tania James, Pamela Erens, Carolyn Parkhurst, Laura van den Berg, Elissa Schapell, Ron Kesey, Jason Diamond, and Josh Weil. In 2017, Baltimore Magazine awarded Starts Here! Reading series a "Best of Baltimore" for best reading series. Jen as fiction reading host. 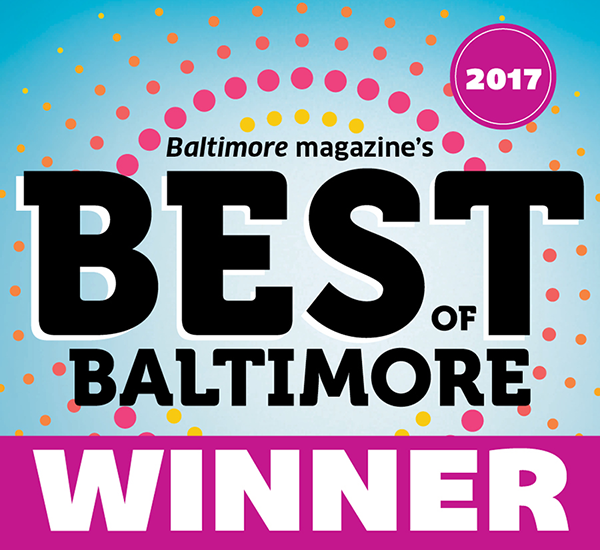 Best of Baltimore 2017 - Starts Here! 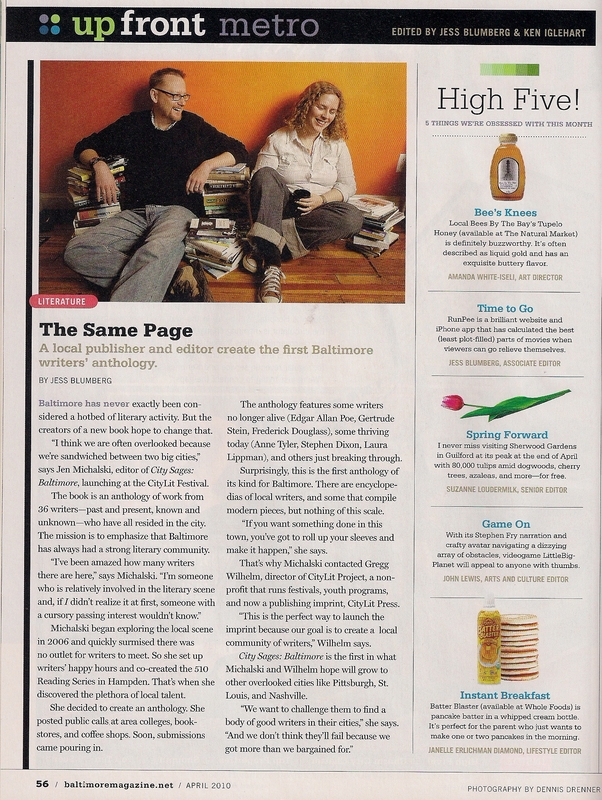 The 510 Readings was profiled in 2009 by Baltimore Magazine. 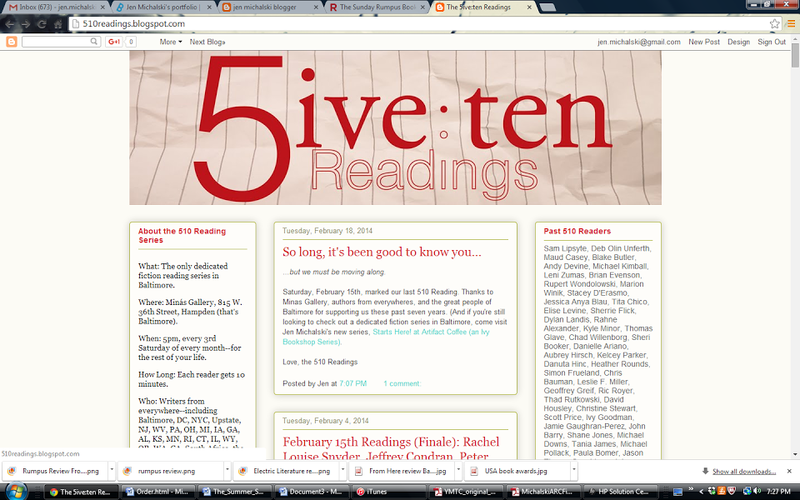 Homepage of the 510 Reading Series, voted "Best Scene" by the Baltimore City Paper. The Lit Show, Creative Alliance, 2012, with co-host Betsy Boyd. 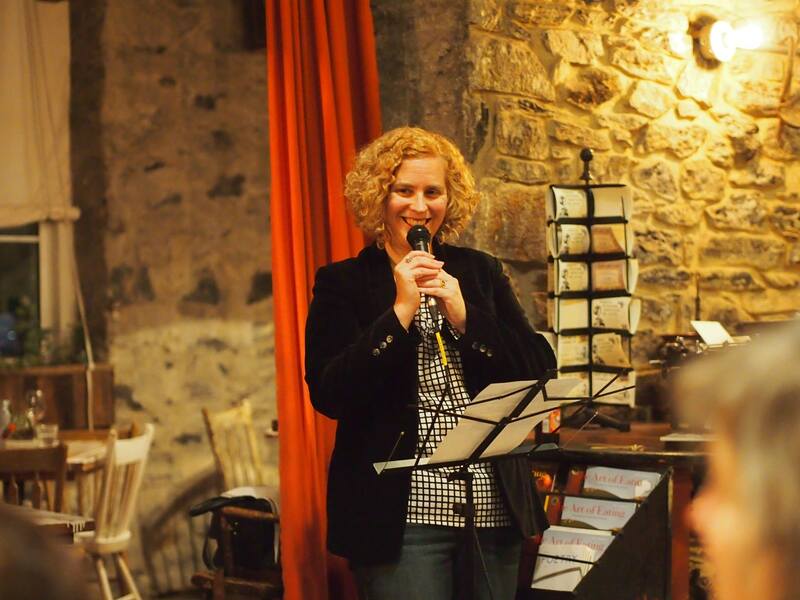 Jen Michalski hosting Starts Here! 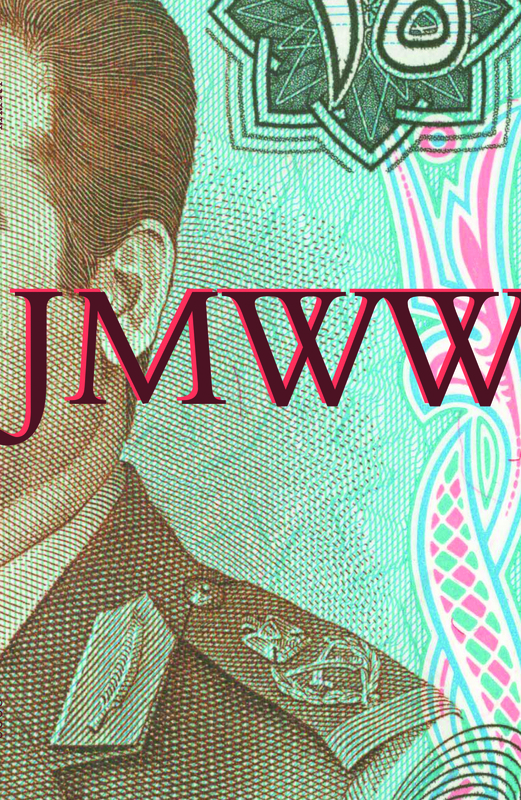 jmww (https://jmwwblog.wordpress.com/) was founded by Jen Michalski and Catherine Harrison in 2004, first as a quarterly online, and now as a weekly web magazine featuring fiction, poetry, essays, interviews, and book reviews, with new content every few days. 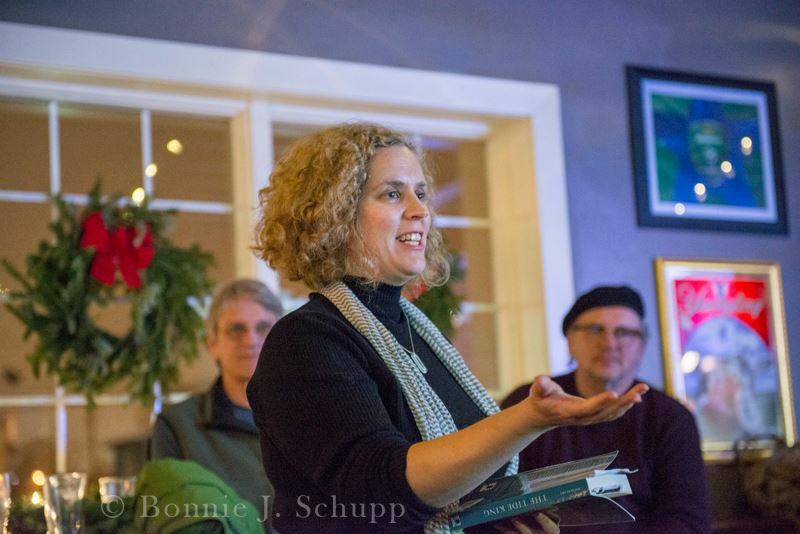 For five years, jmww also published a print annual and currently holds an annual poetry chapbook competition, The Claudia Emerson Poetry Chapbook Award. 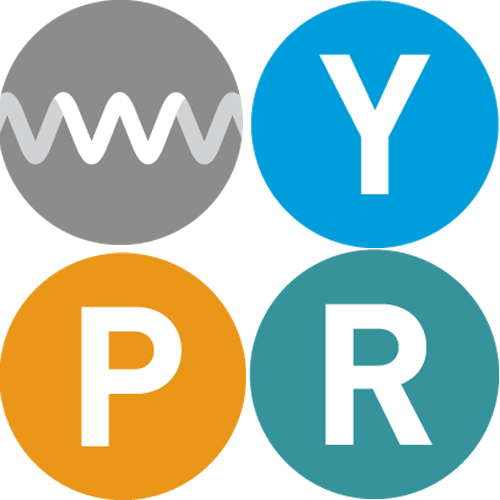 Writers have been nominated for Pushcart and Million Writers Award prizes. 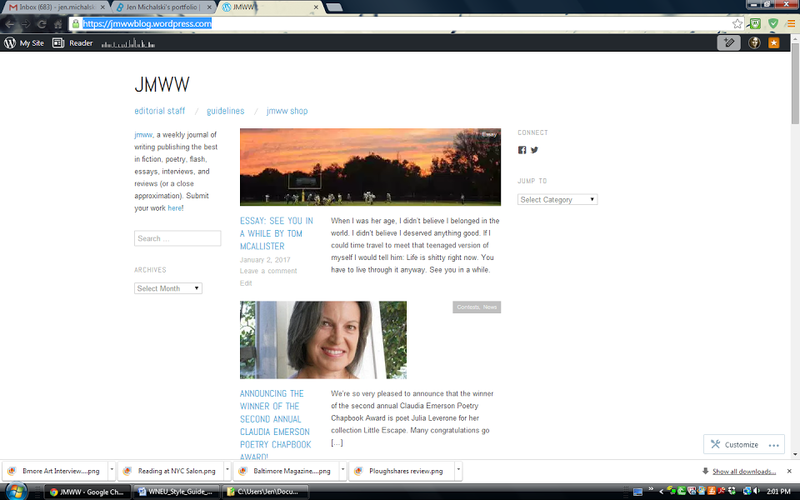 Homepage for jmww (https://jmwwblog.wordpress.com/), a weekly online literary journal. jmww editors have had booths/tables at numerous festivals over the years, including the AWP, Baltimore Book Festival, Emma's Radical Bookfair, The Scranton Book Festival, the Westiminster Book Festival, Conversations and Connections, and the CityLit Festival. 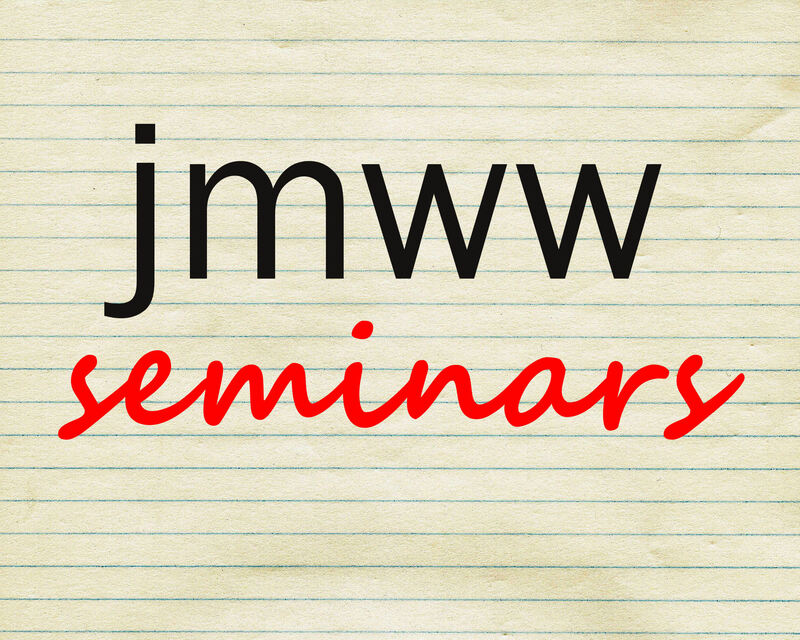 In the past, we have offered online workshops in fiction, poetry, flash fiction, and nonfiction through our jmww Seminars. 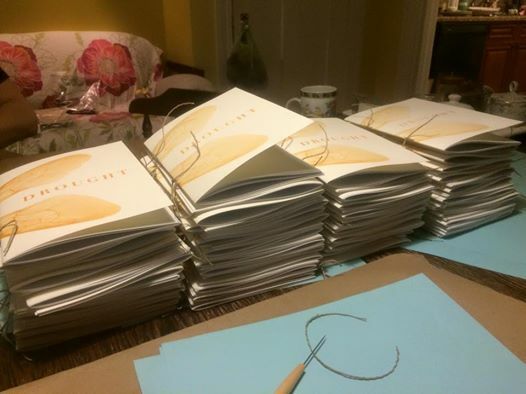 Assembling Drought, winner of the inaugural Claudia Emerson Chapbook Award. 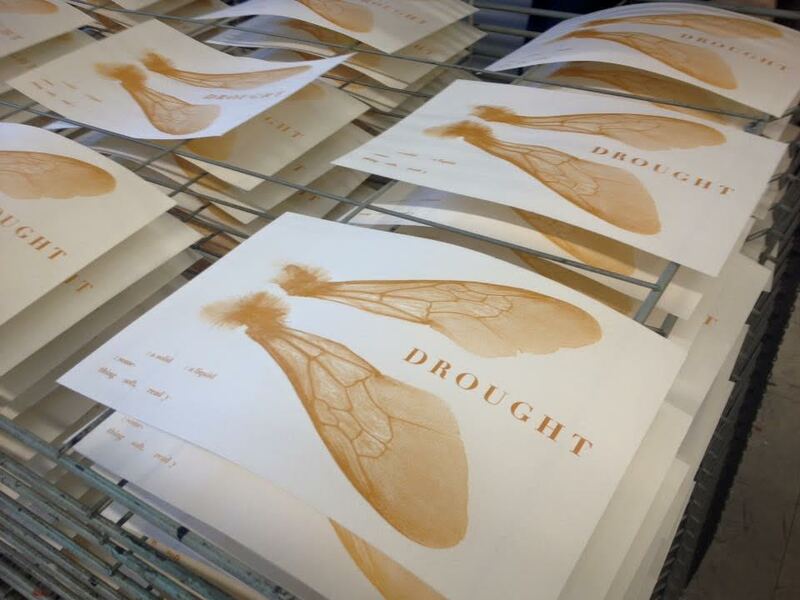 Printing covers for Drought at the Baltimore Print Studio. 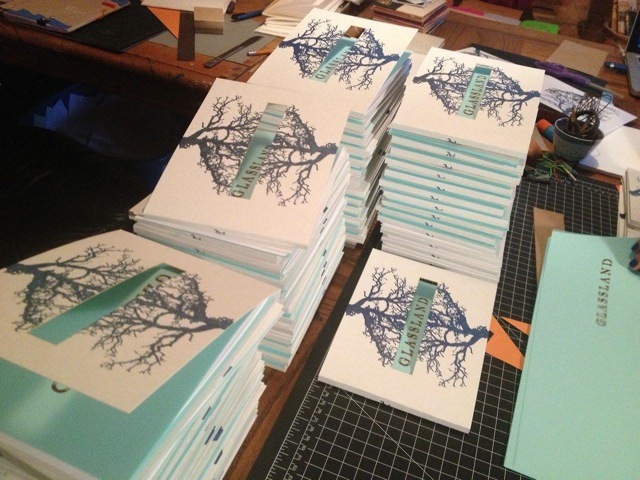 Our first poetry chapbook, Jess Polli's Glassland (2014). Cover of jmww print anthology III. "The mountain village where I was born, as well as the mountain village works of Picasso, Braque, Cezanne, and Derain, helped me shape this series.